When it comes to Tehran Nightlife, we can strongly say it rarely sleeps. Most of the fun begins right after the sun sets in Tehran. Many travelers ask us are there any nightlife fun in Tehran without all the common things that they are used to and can’t find here (at least not officially). Well, we have to answer: Go figure 🙂 you just have to be open about it. 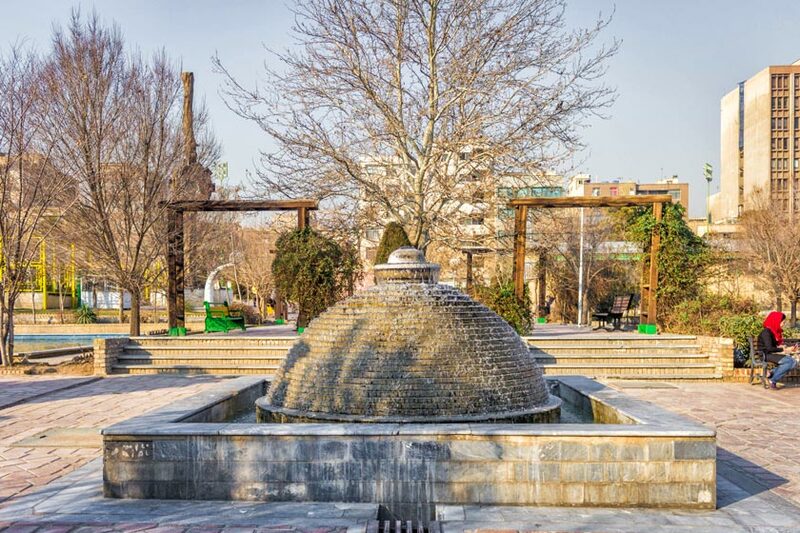 – Go to Artists (Honarmandan) Park for hanging, socializing and meet hipster young people or Art students. In the Park you will see lots of young souls to hang with. Don’t be shy, go flow with them. The rest is up to you. Usually you will find free spirited ones who will suggest you a good plan for the night; Wondering how to get there by metro? read Iranian Artists Forum article. Accept an invitation to a local house or ceremony. Well, all of previous suggestions, somehow lead you to accept an invitation and go flow with the folks apart from the experience of the spot itself. Again, while in Iran, you have to be flexible on the stream of DO’s & DON’T’S. Go to Darband to get fresh air, walk beside the river and catch the spirit of Tehran nights. Darband would be a quiet different experience of Tehran nights. Just google it and you will see what do we mean. It’s ok to stay in Darband till midnight on week days, and till 2 am on weekends. Darband is the beginning of a popular hiking trail into Mount Tochal, which towers over Tehran. 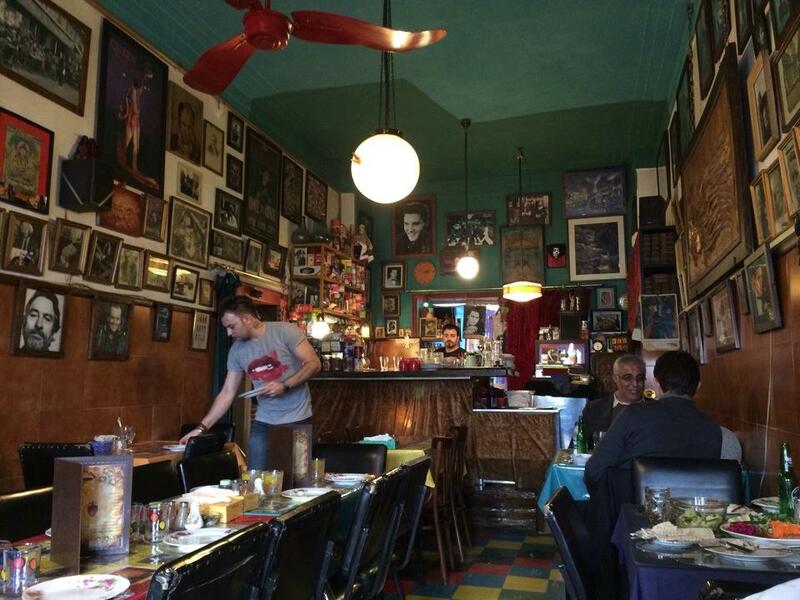 Go to 30-Tir street: The new golden suggestion is 30-Tir (Sii Tir) Street. 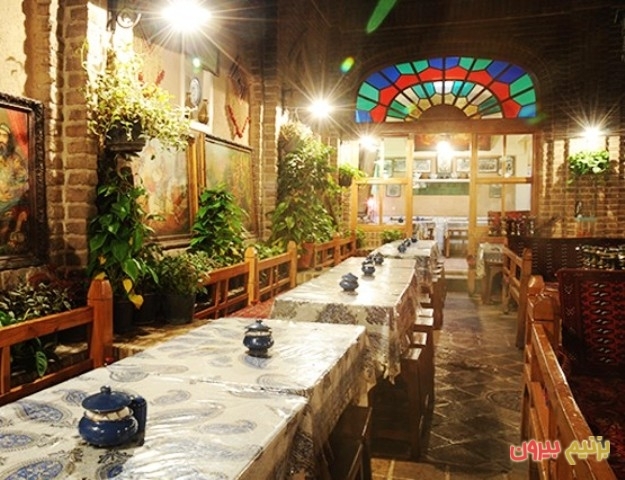 This historical street, with its many historical buildings and museums like ceramic and glassware, national museum, etc., and also old school cafes, has become the new hangout location for young souls of Tehran. 30-Tir Street now is a cradle for new experiences since it has been paved and closed on cars at nights. This street which was one of the most up-to-date areas of Tehran in the old Tehran, now is shifting to something more. “Food and art” have given a different atmosphere to the nights of 30-Tir. The smell of street foods, smoke of grills, the sound of laughter and street music have created the scene of aliveness once more. The theme of “street food” which has been the main idea, has led to many portable stations for homemade sandwiches, local and traditional foods, beverages, ice cream, food, and of course coffee in the area. Now imagine all that being accompanied by modern art performances. The best way to go to 30-Tir Street is by metro. The nearest one is Imam-Khomeini station on line 1. Also the best time for sightseeing is within the daylight and for walking around and have fun is from 6 or 7 pm. Of course Iran is one of the safest countries in the world and folks are almost the nicest ones you’ll ever experience when it comes to tourism, but none of these means that you get to miss basic safety concerns. Like every other capital, Tehran has also its dangers. Never carry too much money or your passport when it’s late and you’re alone, and always make sure someone knows where you are if you decided to spend time somewhere private. Leave a contact number with the hostel staff to be able to call you if necessary. And believe it’s for the best. HI Tehran Hostel offers excellent value budget accommodation in a convenient location of Tehran, stay with us and see what a difference a stay makes. You Are Invited!